This sounds quite different than their more folky debut with another line-up including a female vocalist. But I'm happy to find out this is not a disappointment at all, even if the vocals (by Hannu Hiltula who also plays sax and flute) are not any special. 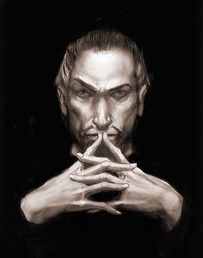 Emotion comes primarily from the music, and Hannu's commonplace baritone vocals do fit in very well. Lyrically this album is a clear improvement over the rather naiive debut, partly thanks to using poetry of respected classic Finnish poets Uuno Kailas and Aaro Hellaakoski (from early 20th century) on two first tracks. The long epic sharing the album's title is written by the drummer Mikko Väärälä (I hope I'm getting these details right out of my memory!) and its lyrics seemed quite fine though I don't memorize anything of them now. Anyway, the emphasis all the way is on the music, not vocals, rather the same way as with CAMEL, one of the bands VIIMA is repeatedly compared with. 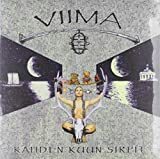 On `Kahden Kuun Sirpit' the band Viima offers a wonderful collection of expertly played progressive music that is mostly symphonic prog based, but with many classical, folk and occasional slight jazz elements too. At no stage does the band ever sound derivative or clichéd, this album has its own identity and truly stands out. Sometimes brief moments remind a little bit of Camel or Genesis, but the band has more than their share of original ideas to bring to the listener. This album really is the perfect prog package - wonderful playing, exciting arrangements, great musical variety, beautiful cover. I bought the vinyl edition a few years ago, and the front artwork is fascinating and very striking. Well worth trying to track down on this format, though I'm not sure of its availability anymore. Viima's singer Hannu Hiltula occasionally sounds a little flat and monotone, but after a few listens his vocals become very interesting, to the point where I think they're among some of the most distinctive and unique that I've heard in my prog collection! While they are a little inconsistent, they do make the band sound quite different, and there are times when he performs extremely well, very grand and emotional. I should also add that his soprano sax and flute playing is first rate throughout too. Guitarist Mikko Uusi-Oukari steals much of the album. His electric guitar tone sounds so much like David Gilmour's from his early 70's, pre `Dark Side' work in Pink Floyd. His solo in the second half of the instrumental track `Sukellus' is exceptional, as is his slowly unwinding slide guitar solo in the middle of the side-long title track. Outstanding work all around from this talented musician. Kimmo Lähteenmäki offers a great variety of keyboard sounds throughout the album, but the arrangements never sound over complicated or too busy. In fact, there's such a sense of tasteful restraint and space through the entire album that many other bands could benefit from taking this approach. Plenty of wonderful Mellotron and organ, of course, too! Both Aapo Honkanen on bass and Mikko Väärälä on drums do some terrific work on the album as well. Lets face it, you don't get rubbish players on prog rock albums! The albums begins with an almost fanfare sounding track, `Autio Pelto'. Featuring wonderful flute and electric guitar melodies that compliment each other perfectly back and forth, restrained organ adds to the epic sound. At about the three minute mark we hear the vocals for the first time, forceful and powerful. Overall a very striking and captivating theme to open with. Booming church organ in the first minute of `Unohtunut', very overwhelming. That sound dominates much of this piece. 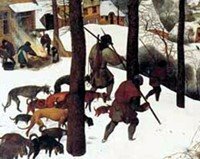 The whole album has many mournful and darker moments such as these, but is constantly complimented by more uplifting musical melodies and arrangements to find a perfect balance. The church organ solo in the middle reminds me a little of the Glass Hammer `Shadowlands' album. `Sukellus' is a joyous and uplifting instrumental, with a nice variety of keyboards and very low-key and effective Mellotron. The second half features an electric guitar solo with a sound very similar to David Gilmour's early 70's Floyd work. Some terrific sax playing on this one! All of the instruments come together for the majestic finale. The obligatory `epic' to close the album! The title track is a side long piece, but not a wasted moment or any needless padding, standout moments throughout all of it. Several minutes in the middle feature a beautiful mournful slide guitar solo that is so reminiscent of early 70's Floyd, it's possibly the highlight of the album. 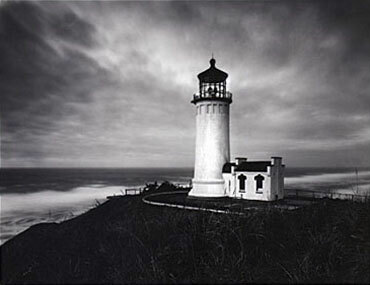 The last part of the track features a reprise from the beginning, with a gorgeous searing electric guitar solo to take the album out on a high note, before bringing you back with a soothing Mellotron outro. Perfect way to wrap up the album. I used to merely think this album was simply decent, nothing more, but as I've had it for a few years now and given it repeated listens, it's grown on me immensely, and I enjoy it more each time, discovering new details with each additional listen. As usual, it's the albums that don't grab you straight away, that you have to commit to listening to over and over, that prove to be the most rewarding. When I gave it the most recent listen, I realised after all this time just what a terrific piece of music it is, and a well deserved addition to any serious prog lovers collection. The players in the band Viima should be hugely proud of this work, and I hope we get a follow up album from them in the future. 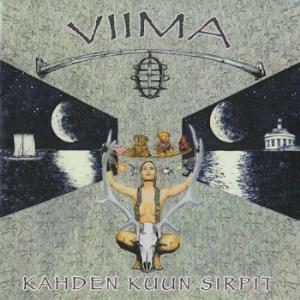 Post a review of VIIMA "Kahden Kuun Sirpit"